The norwegien Choice chain have bought the Nordic Hotels chain including Nordic Sea Hotel, Nordic Light Hotel and Nordic Blue hotel in Stockholm. Hotel Clarion Sign opens a summer bar on the roof by Selma City Spa with a great view over the city area. Champagne, coctails and small courses will be served. The summer bar is open until end of august. The Strömma Group is expanding on the bus side and buys the long distance transferbus company Air-bus. The company takes you to and from the cities of Karlstad - Kristinehamn - Karlskoga - Örebro - Arboga - Köping - Västerås and Stockholm Arlanda Airport. Travelling with children to this year? Then Stockholm can be a good option. Several hotels are offering special childrens menues and activities this summer. Rica Hotel Talk in Stockholm launches a concept: Check in with Alfons Åberg. 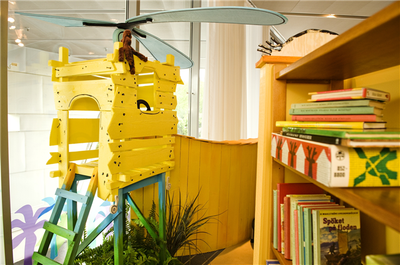 Alfons Åberg is a popular swedish children book caracter and Rica Hotel Talk have launched a playground for children in the hotel. The children get a surprize upon arrival and Rica offers priceworthy rates for families. The Stay At-chain specializes in Hotel Apartments. All rooms come with a fully equipped kitchen and rooms for up to 6-8 people. 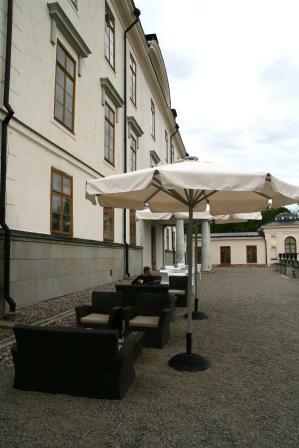 They have four hotels in the Stockholm area, the newest being Stay at Lindhagen in Stockholm City. The Volvo Ocean Race Stopover in Stockholm was inaugurated yesterday, Sunday. 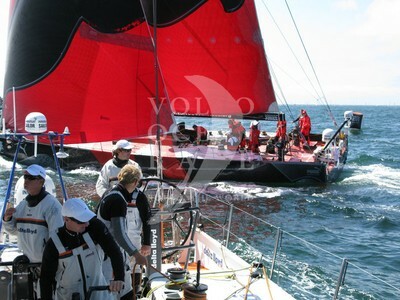 Stockholm is hosting the Volvo Ocean Race, one of the world's most well known sailing competitions. From the start line to the finish line, the Volvo Ocean Race will pass through 11 ports, each with its own special culture and history. It will be the biggest event in Sweden in 2009, and more than half a million visitors are expected to visit Race Village and the festivities on Skeppsbron. The lush green wedges is a characteristic of Stockholm. The most wellknown being the National City Park which stretches some 24 kilometers through the city. 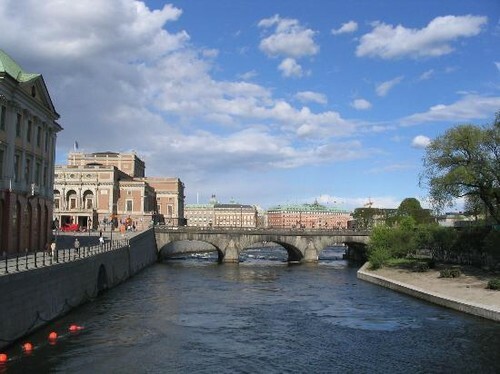 The City of Stockholm has all in all 398 parks divided in the four city districts. 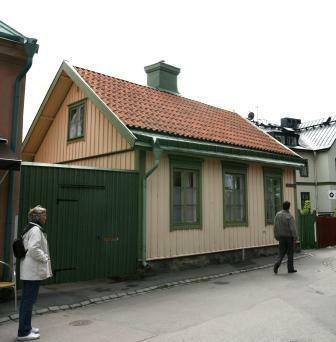 Stroll along Storgatan-street and along the shore and do some shopping. 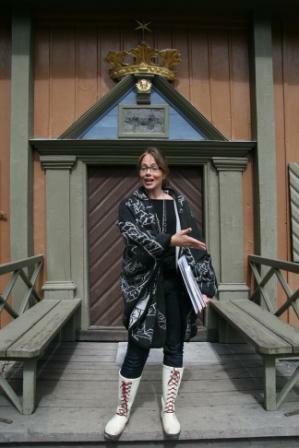 Visit the historic sites, the ruins, the runestones and the town hall..
We met up with the Managing director Camilla and Sofia who works with PR at Sigtunaturism outside their tourist office situated in a garden with a view of lake Mälaren. What an office! 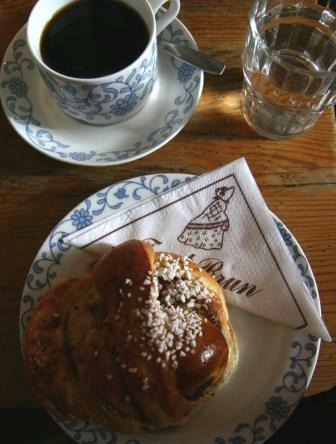 We started with some morning coffee and a "kanelbulle" (swedish cinnamon roll) at Tant Brun a café in beautiful red cottage from the 1700's. (Johanna and Camilla in the image). Look at the size of that bun - it tasted lovely! The name Tant Brun (aunt brown) comes from the children book author and painter Elsa Beskow's books about two children (Petter and Lotta) who grows up with three sisters (aunt green, aunt brown and aunt lavender) - if i remember correctly. 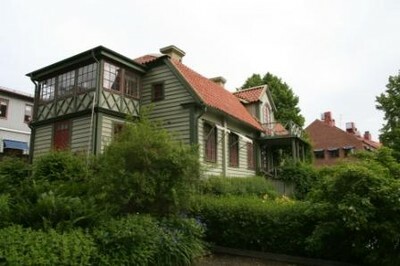 Mrs Beskow lived in Sigtuna. The book Petter and Lottas Christmas have defined christmas for many swedish children. 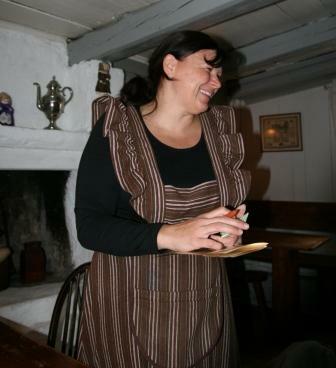 Here's a live aunt Brown... serving buns and coffee in an authentic setting. 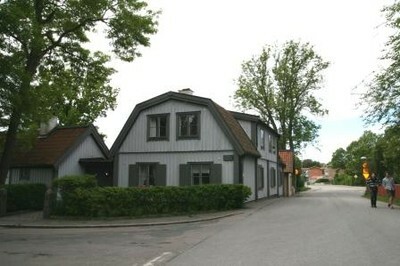 Sigtuna was founded some 1000 years ago and is one of the first christian cities. There are plenty of churches, runestones and churchruins in the city. The Saint Mary church is a red brick church built in the mid-13th century and the parish church of the town. 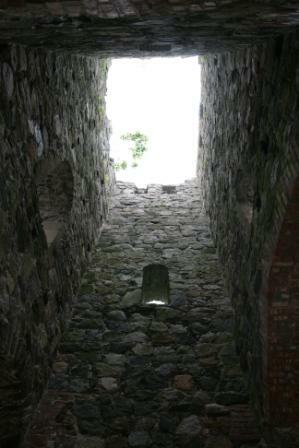 (Saint Olafs ruin in the image). 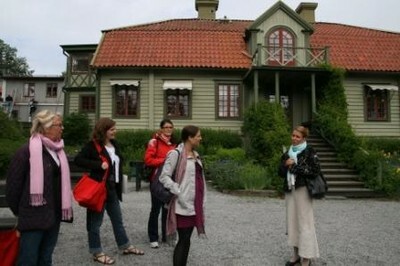 Visiting the museum Sigtuna museum is definately a must. We met up with an archaeologist, Anders, at the museum and it was really interesting to hear of his personal findings. Wow. 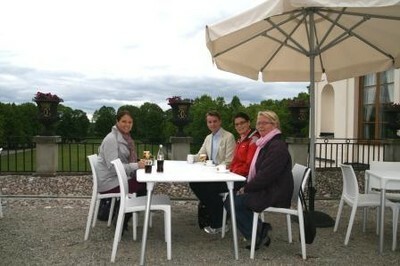 We took the car to the Rosersberg Palace, which is one of HM the Kings own palaces and went for a guided tour. A visit to Rosersberg Palace means taking a step back into an authentic royal milieu from the turn of the 19th century. 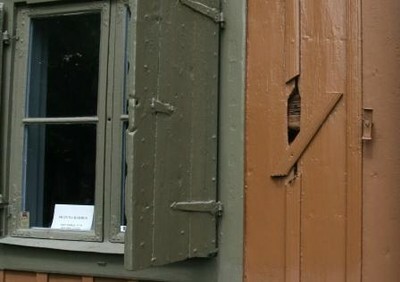 The permanent interiors have been untouched since 1860. The best of all - you can stay here! The hotel lobby is in the right wing and the rooms are in the left and right wing of the palace. Rosersberg Hotel & Konference offers really nice rooms and conference facilities viewing the beautiful park. In the morning they serve breakfast in a breakfast basket delivered to your room - I great idea. They offer 58 rooms 43 of them being single rooms at the moment. 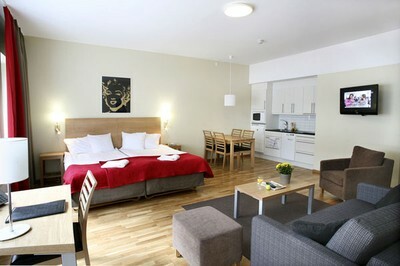 The rooms are newly refurbished (images on the site does not do them justice) and they are adding new double rooms. 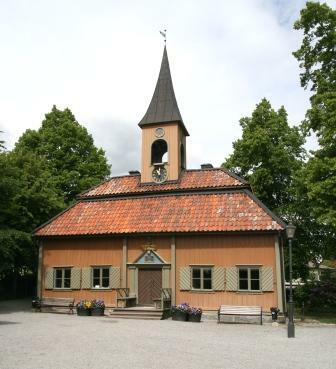 The open air museum in Skansen is one of the ten finalists in the competition "Swedens most beautiful park 2009". (swedish webiste) Criterias like accessability, architecture, management and commitment. The ten parks are chosen by a jury. Swap the green grass walk to the sea grass walk! The encouragement comes from Skärgårdsstiftelsen who will open their snorkeling path on Nåttarö island in the southern archipelago on June 27. This is a new way for swimmers and outdoor lovers to explore the amazing archipelago. The path is marked with information rocks and signs describing the flora and fauna along the path. A rope is also tied between the rocks to lead the way. The "snorkel path" stretches from the beach north of the steamboat jetty. 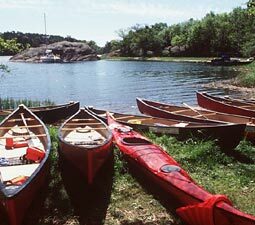 The Stockholm Archipelago consists of 30 000 islands and islets. 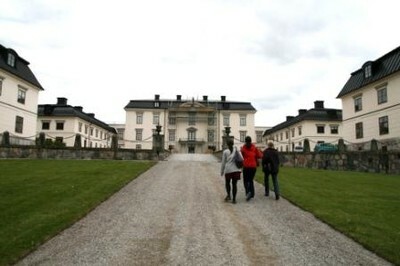 is a company specializing in self guided activity trips in and around Stockholm, predominately to the Stockholm archipelago and the region of Sörmland. The activities included are cycling, hiking, paddling, sailing and mountain biking and most often a trip includes a combination of a number of these activities. The tram line from all the attractions on Djurgården to Norrmalmstorg in the citycentre will expand. Next summer the line will continue on Hamngatan and up to Sergels Torg Square (the line on the right). Fase two (the dotted line) will include a tramtrack from North western Kungsholmen to Stockholm Central which is due to open in 2011. Fase three will include a line from Djurgården to värtan and Ropsten. The exhibition that will take the legendary Swedish pop group ABBA's story on a world tour is changing its name from ABBA the Museum to ABBAWORLD. The ABBAWORLD exhibition will have its world premiere in Europe later this year. The website, http://www.abbaworld.com/, will be launched this summer and it will provide visitors with an appetiser for the exhibition. ABBAWORLD is a unique touring exhibition filled with music, original costumes, history, images, instruments and never-before-displayed memorabilia from the group's recording and performing heyday. ABBAWORLD is an interactive experience featuring the latest technology in sound, visuals, multimedia and communications. 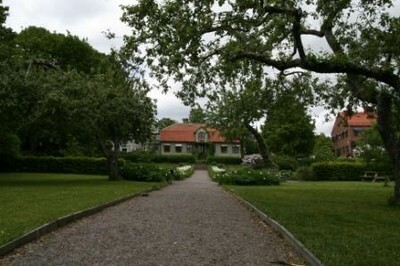 It is the only exhibition of its kind, with memorabilia approved by ABBA. Most of the items have been supplied exclusively by the quartet: Anni-Frid Lyngstad, Benny Andersson, Björn Ulvaeus, and Agnetha Fältskog.